Prime Minister Narendra Modi on Sunday launched a stinging attack on the Congress, the DMK and other political rivals joining hands against the BJP, but spared mention of the AIADMK, keeping open the option of an alliance with Tamil Nadu's ruling party. "From the seas to the skies, the Congress has several scams associated with the defence and in the process the party did not allow the modernisation of defence forces for long years that they were in power", Mr Modi said. This is PM Modi's first visit to the state after the Telugu Desam Party (TDP) pulled out of the NDA following a fallout over the Special Category Status previous year. After two tense months, the troops from both countries withdrew and last April, Modi met with Xi Jinping in an effort to reset bilateral relations. "The government has proven that it is a protector of the Bangladeshi infiltrators and is against the indigenous people of Assam", he said. 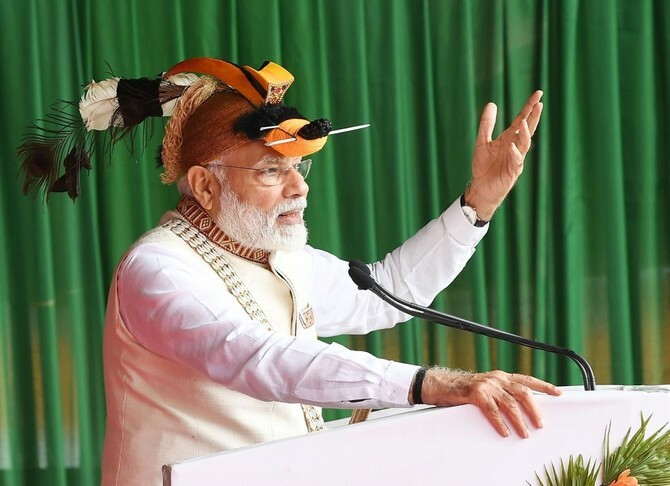 In an attempt to establish a connect with the local audience, Prime Minister Narendra Modi on Sunday quoted from Thirukurual and peppered his speech with local names. Modi added that the Opposition wants to impose the same model on the rest of the country. In a state where there is 69 per cent reservation, PM Modi said social justice is an article of faith for his government and not a mathematical equation. Every day he is getting threatened. "Publicly, he weeps about his helplessness. There is confusion about it", Modi said. "But they are forming a big alliance to defeat Modi", he said. Irrigation Minister Devineni Uma Maheswara Rao led a protest in Vijayawada. Naidu and his cabinet members also stayed away from Modi's programmes while Andhra Pradesh and Telangana governor E S L Narasimhan received the Prime Minister at Gannavaram airport.